Wait! I’m Calling from Space! The space station is “only” a few hundred miles above the surface of the Earth. We get calls from much greater distances all the time with no delay. So what causes the lag time? The radio signals from the space station first go up all the way to geosynchronous orbit, 22,200 miles up, where the Tracking Data Relay Satellites reside, and then back down to one of the Earth receiving antennas, and finally through ground networks to our house phone. It’s a long journey for that old radio signal that just won’t go any faster than 186,000 miles per second no matter how much you honk your horn. Still, most people can tolerate a delay of half a second—as the telemarketers have unfortunately discovered. But if one of our astronaut friends one day calls us from the Moon, at 240,000 miles, times two for the round trip, the lag time between our hello and their answer is about two and a half seconds. Click. Better warn us ahead of time! 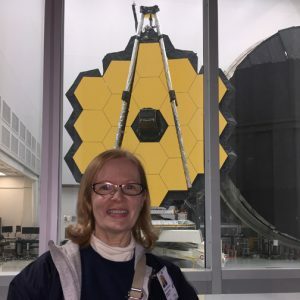 I saw the gold James Webb Telescope outside the vacuum test chamber at Johnson Space Center in January 2018. Photo © Marianne Dyson. Calls from farther away, such as the million-mile distance of the Earth-Moon Lagrange Point 2 where the James Webb Telescope will be orbiting, will take more than five seconds each way. Click. Calling from Mars? Depending if the Earth and Mars are on the same or opposite sides of the sun, the distance varies from half an astronomical unit (AU=93,000,000 miles or one light minute) to 2.5 AU or 4 to 21 minutes each way. Click. No wonder Star Trek and other science fictional universes rely on “subspace” or “ansibles” that conveniently route calls through other dimensions or wormholes to allow the plot to move faster than the posted (light) speed limit. The consequences of dealing with space lag times offer some interesting challenges for our future pioneers beyond having their friends or family hang up on them. Without being able to call 911 or Mission Control to solve problems, they need to be well-trained and equipped with appropriate tools to handle emergencies. Like Mark Whatney in The Martian, if regular communications fail, they may be forced to use hexadecimal coded signals to communicate. Or they may simply write “SOS” with a rover, rocks, or pieces of their broken spacecraft for the new James Webb Telescope to spot. So when you answer the phone and hear clicks and no voice: Wait, don’t hang up! It might be a call from space! Analog readers, watch for my first guest editorial in the July/August issue! 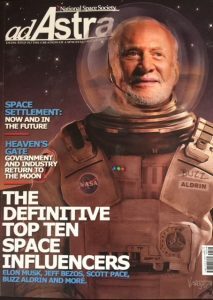 My next book, coauthored with Buzz Aldrin, To the Moon and Back: My Apollo 11 Adventure, a pop-up book from National Geographic, is available for preorder now from Amazon. Look for it in stores/museums in October. 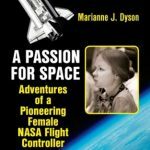 Whether you’re looking for a role model for female students, a scientist to run a STEM workshop, or a speaker with some unique stories, please consider an author visit. I offer programs appropriate for school-aged children up through senior citizens, as well as science workshops for students and teachers. See my list of programs on the Author Visits tab of my website. Saturday, April 21, 8 AM-4 PM. Selling and signing books, new and used, at the Clear Lake Community Association Garage Sale. Saturday, April 28, 10 AM-2 PM, volunteer for the Grand Opening of Exploration Green. May 4-6, May the Fourth Celebration, visit to Nevada Space Center Hall of Fame. Speaking about Science and Science Fiction on Friday evening, attending the dedication of the Nevada Challenger Center Redfield Mission Control and giving a Keynote Address on Saturday. Saturday, May 12, 1:00-4:30 PM. Speaking on “How to Publish a Book” at Houston Writers House event. Register here. Tuesday, May 15, 9-10 AM Passion for Space, 10-11 AM, Children’s program, Laredo Public Library. Tuesday, May 22, author visit to The Westview School. Friday, May 25, panelist, Comicpalooza, George Brown Convention Center, Houston. Thursday, June 7, vendor fair participant, Setting the Trend, Librarians as Leaders conference. Clear Falls High School, 4380 Village Way, League City, TX. September 21-23, Science GOH at FenCon XV in Dallas. See their website for program details. Writer GOH is Larry Niven.